When LauraLynn hospice approached me to take part in Children’s Hospice week, I jumped at the chance. Having known both Laura and Lynn and having watched their extraordinary parents, Jane and Brendan create the LauraLynn Children’s Hospice, I couldn't wait to be part of it. Manley along with four other Irish designers, we’re asked to create a ‘Hospice Hero’ cape for a child at LauraLynn to help them celebrate Children’s hospice week. 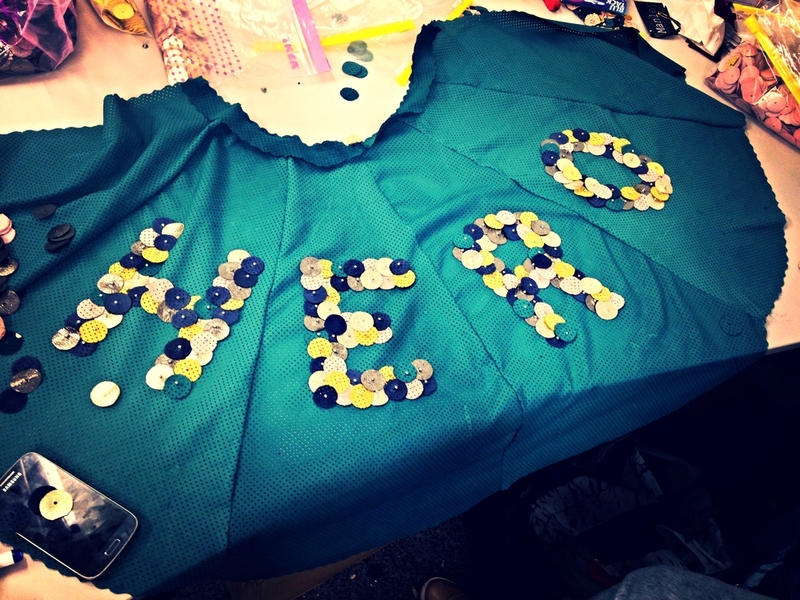 Hero, it really is the most appropriate word to describe these wonderful kids at LauraLynn, and so, we took Hero as our inspiration for our Hospice Hero’s cape. Texture and colour are really important to help stimulate the children's senses so we wanted to use as much of both as possible. The cape was made from textured perforated leather. Across the back read the word HERO which was created from multicoloured leather circles held down with studs. The remainder of the cape was encrusted in these leather circles. To touch, the cape was filled with textures, and to the eye, it was as colourful as can be! Seeing the kids at LauraLynn wear the capes and respond so well to our colourful creations was incredible. Lets hope everybody out there becomes a hero during Children’s Hospice Week by donating what they can to LauraLynn, Ireland’s ONLY children's hospice.